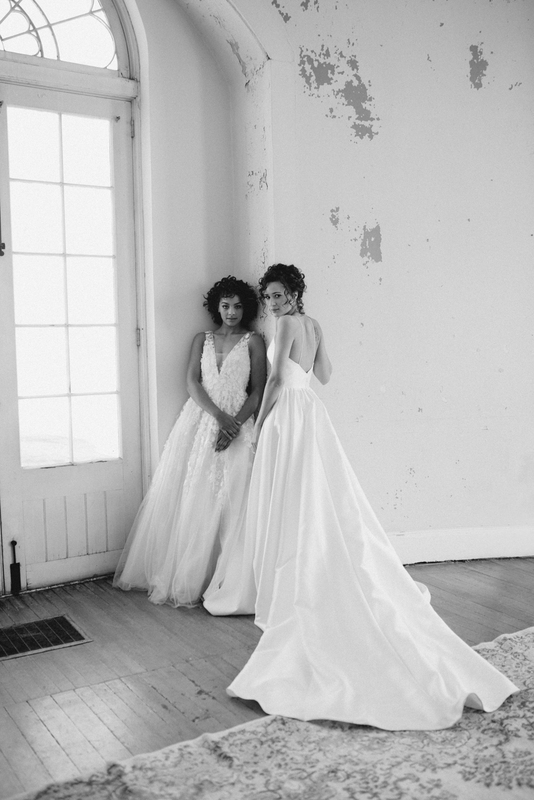 On a snowy December day, we shot this poetic fashion story in Philadelphia, PA. Our shoot took place at The Woodlands historic mansion. 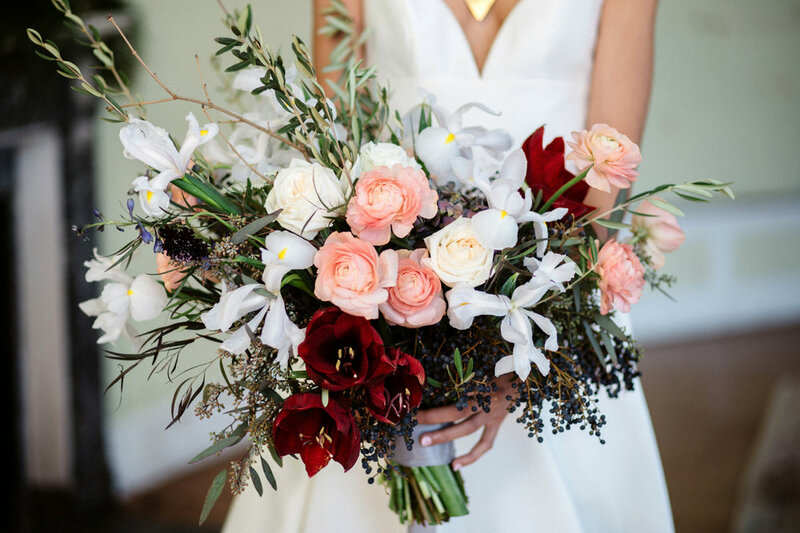 We pulled inspiration from festive greenery and feminine blush tones. 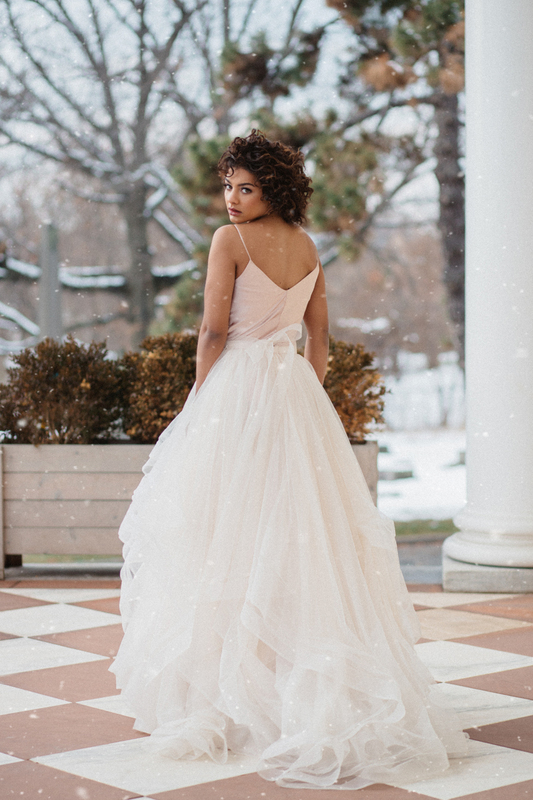 Our wintery shoot features Bhldn gowns and unique handmade jewelry from a local boutique, Moon + Arrow. 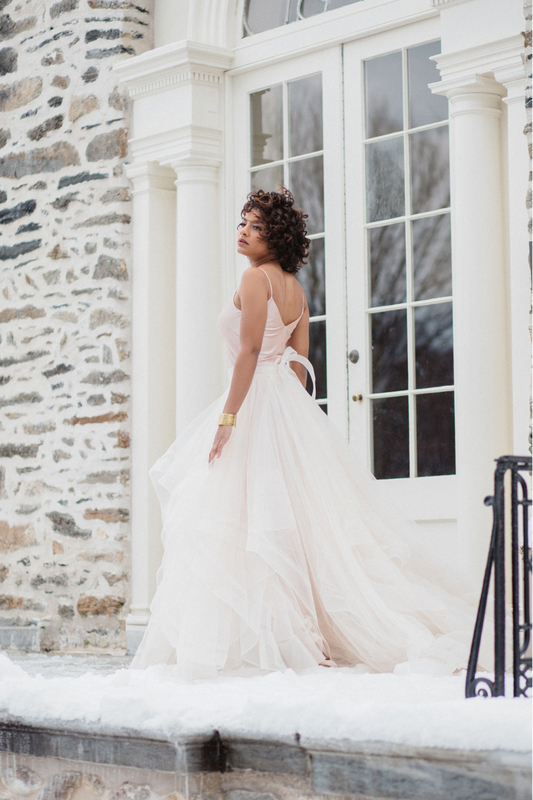 We used brass detail to bring a daring twist to this timeless romantic theme.